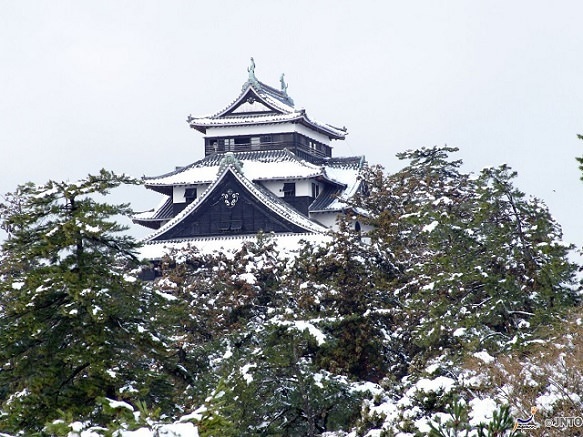 Matsue Castle, sometimes referred to as the Black Castle or the plover castle to some, was constructed from 1607-1611 under the commands of local lord Horio Yoshiharu in the Shimane Prefecture. The castle lies on a steep hill top and remains in its original wooden form, making it one of the few reaming medieval castles in Japan. 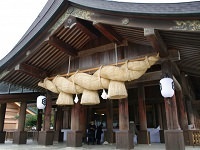 It is one of the twelve original castles in Japan and the only one in the Sanin region. While most castles were destroyed by war or natural disasters, Matsue Castle was constructed after the last great feudal war of Japan. This helped preserve the castle's walls and keep from further damage or destruction. 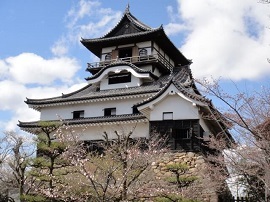 Matsue Castle's donjon, or keep, is the second largest of all of the original castles. Every building but the castle tower were dismantled in 1875 and underwent complete reconstruction from 1950-1955. 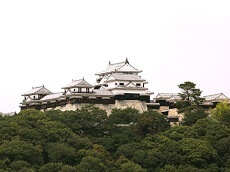 Today, the castle houses a museum where visitors can learn about the castle's history and take a look at various artifacts such as the attire worn by samurais during the time. Visitors can explore the castle grounds and travel through the inside of the castle. Guests enjoy navigating the steep stairs of the castle and many comment they feel as if they are experiencing life as a samurai. 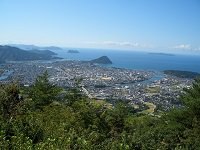 The top of Matsue Castle rewards visitors with stunning views of Matsue city. Matsue Castle stands on the shores of Lake Shinji, earning the title of one of Japan's Three Great Lake Castles. The Castle is surrounded by a moat and canals, and there are short boat rides available to enjoy the beauty. The castle is also a popular spot during Spring for cherry blossom viewing. The castle grounds are considered as one of the best 100 cherry blossom viewing spots as cherry trees, camellias, azaleas, and apricot trees begin to blossom in the spring. 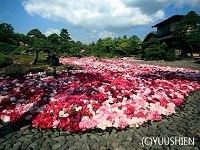 Many come to Matsue Castle between April and May to enjoy the pink and white petals from the top of the castle's view. The castle is also a great option to view fall foliage with our custom Japan tour options available in Autumn. 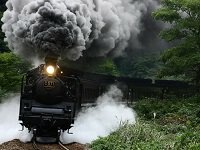 Customize a Japan tour today to include Matsue Castle and the rest of Shimane Prefecture's best spots for your next vacation! One of 12 castles built before the Edo period that still stands.